Purnakumbha literally means a “full Pot” (Purna = full, Kumbha = Pot). 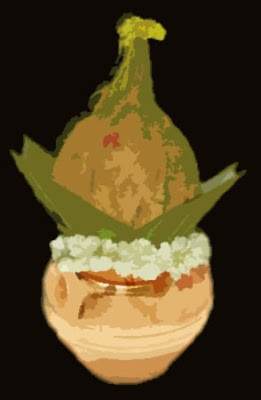 The Purnakumbha is a Pot full of water, with fresh leaves of the mango tree and a coconut (Sriphala) placed on the top. The pitcher may be made of mud, brass, copper or silver. Sometimes the pot is decorated with designs like Ashtalakshmis or a Swasthika. 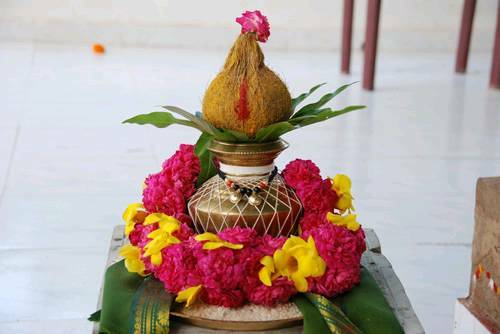 The Purna-Kalasha is considered a symbol of abundance and “source of life” in the Vedas. Purna-Kumbha is preeminently a Vedic motif, known from the time of Rigveda. It is also called Soma-Kalasha, Chandra-Kalasha, Indra-Kumbha, Purnaghata, Purna-Virakamsya, Bhadra ghata, or Mangala ghata. It is referred to as “overflowing full vase” (purno-asya Kalasha) in the Vedas. 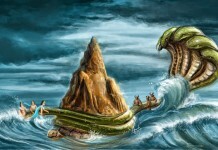 Why do we worship the kalasha?Before the creation came into being, Lord Vishnu was reclining on His snake-bed in the milky ocean. 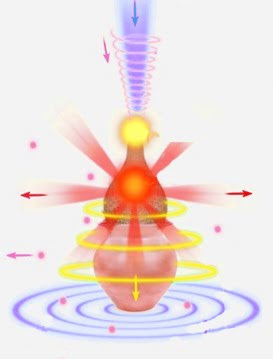 From His navel emerged a lotus from which appeared Lord Brahma, the creator, who thereafter created this world. The Kalash symbolically represents creation. The vacant pot, symbolizes earth, and the water filled symbolizes the primordial water from which life began on earth. Life began in water and nothing can exist in this world without water.The water in the kalash symbolises the primordial water from which the entire creation emerged. It is the giver of life to all and has the potential of creating innumerable names and forms, the inert objects and the sentient beings and all that is auspicious in the world from the energy behind the universe. The leaves and coconut represent creation. the thread represents the love that “binds” all in creation. The kalash is therefore considered auspicious and worshipped. The waters from all the holy rivers, the knowledge of all the vedas and the blessings of all the deities are invoked in the kalash and its water is thereafter used for all the rituals, including the abhisheka. The consecration ( kumbhaabhisheka) of a temple is done in a grand manner with elaborate rituals including the pouring of one or more kalash of holy water on the top of the temple. When the asurs and the devas churned the milky ocean, the Lord appeared bearing the pot of nectar which blessed one with everlasting life. Thus the kalash also symbolises immortality. 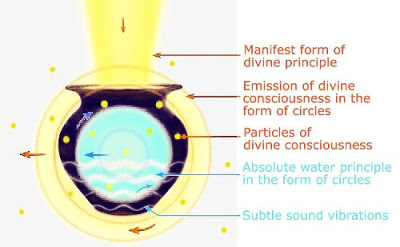 Men of wisdom are full and complete as they identify the infinite truth ( poornatvam. 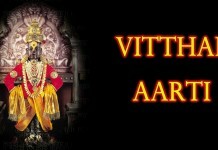 They are brim with joy and love and represent all that is auspicious. We greet them with a purnakumbha (“full pot”) acknowledging their greatness and as a sign of respectful reverential welcome, with a “full heart”. There is a prescribed method of disposing the water in the kalash after the completion of the worship. A part of the water is sprinkled on the premises and this has the effect of purifying the premises. The remainder is used for watering a tulasi plant so that the plant absorbs the sanctified water and enriches itself.